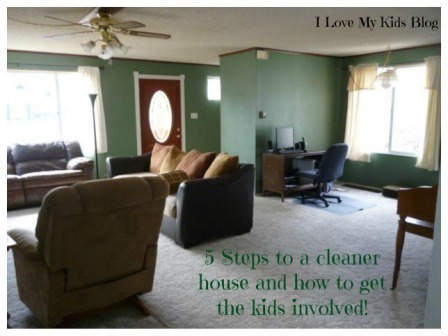 5 steps to a cleaner house and how to get the kids involved! It starts to get pretty frustrating when you are doing the majority of the work around the home and it just never stays done. Ever. Daily you have to remind each child to hang up their backpack, not leave their shoes right in front of the door, bring their lunch boxes to the kitchen…on and on and on. 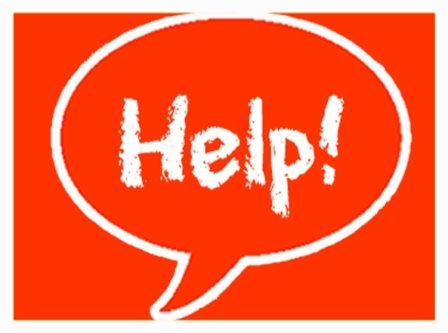 Sometimes asking the children for help isn’t worth the fight, or maybe you are at the end of your rope and have tried everything to get them to help. Maybe you have a child who just won’t help at all. Here are a few ideas on how to motivate them to want to help and hopefully make your daily life a tad easier! Step #1) Write it out! Oh the list goes on and on and on! Make a different line for each task so the list gets nice and LONG and takes up an entire page or 2 or 3! 🙂 Once the list is complete, ask for ONE volunteer in the family wants to do all these tasks by themselves. I doubt anyone will raise their hand and volunteer. Explain that you are a family and a team. You can’t do all these things by yourself every day because it is a lot to do. You need help. Now that everyone in your family sees what you really do each day, ask them what items on the list they will take care of this week to help the team. I bet Luke can take care of his own backpack, Sally too. I bet on Wednesday night before bed the kids can gather the laundry, take it to the laundry room, sort it into colors so it will be ready for me on Thursday morning which is laundry day at my house. Emphasize that you need them and will appreciate their help. It feels good to be needed! Soon it will become routine and it will be easier for everyone! Step #3) Find a cleaning time that works for you! Like I mentioned before, I will spend a ton of time each day cleaning the house. The kids get home and I turn into angry mommy who sees her just mopped floor get trampled on by wet boots, juice spilled onto it, and I am pretty sure my 3 year old intentionally dumped her bowl of crackers onto the floor and now my 6 month old is crawling all over them and crushing them…..why did I sweep and mop today? Someone, quick, remind me! For the last 3 weeks I’ve been enjoying my days with my at home children. We have been playing games together, reading, coloring, painting, baking, doing all the things I want to do with them but never had time to because I was so busy cleaning. When my school aged kids get home from school we do an after school routine of after school snack, homework, piano practice, read 3 chapters in the current book they are reading. We then have dinner and if they want to have any sort of TV, video games, computer time they need to EARN it by making sure the entry way and living room floor are picked up. They can clean as quickly or as slow as they want to and the more time they take, the less time they get to have technology time. This has worked really great for my 6 & 8 year old’s. They know that if they drop their backpacks on the floor, they are going to have to pick them up later before they can play anything. I don’t see many backpacks and coats on the floor anymore. I spend some time with my school aged kids and then at 7 pm I start cleaning for the day. All the meals are done so I only have to clean the kitchen and the dining room once each day, not several times “trying” to maintain it. Usually by 8 pm I’ve managed to spend quality time with all of my kids, my house is clean, and I didn’t spend my entire day trying to get it clean. This has been really working for me and my husband has also noticed a big difference in the cleanliness of the house! 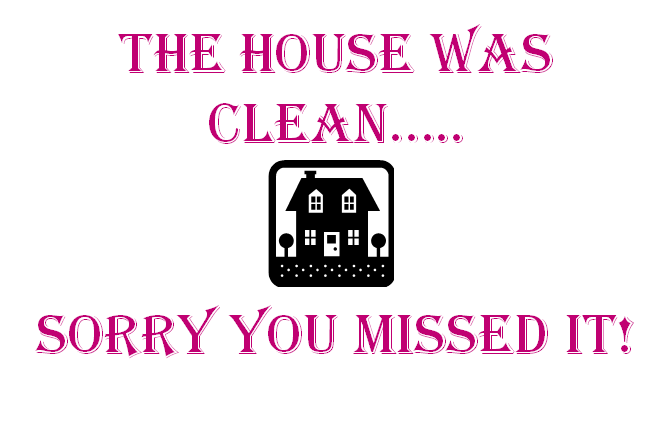 Most of all–just know you aren’t alone if you are struggling to keep your house clean. It is a struggle that so many of us have! Keep trying, if these 5 tips don’t work for you, try something else. If you have a great suggestion on how to get a cleaner house or get the kids involved, please post it in the comments below! « 5 sewing projects you need to add to your “Must Sew” list in 2015! Great post!!! I am so in the SAME boat and can NEVER seem to get caught up and maintained. I wasn’t going to read this thinking what is she going to say that I don’t already know, but you have some really awesome ideas here. All common sense and sound so very easy however they are not when it comes to my family. We are “special” but I feel if I can try some of your ideas we might just be able to get a handle on things. Consistency is KEY and that’s one huge thing we as parents in my house struggle with. Then it’s like how are the kids supposed to stay on task if we don’t? Something else we are working on too. We will NEVER be the “normal” family but I do want and need more structure in our house just so we can live a semi happy life. #4 belongs to the kids. 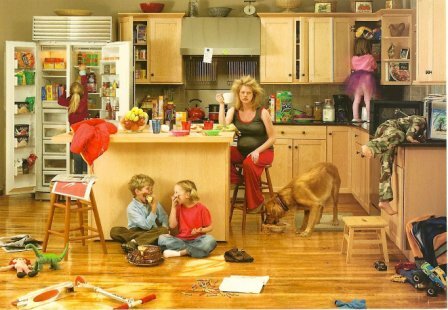 Even when they were, even with special needs, it’s NO to TV or iPad or whatever time until you clean that room. The best part? When they’re done, they want to stay & play rather than going on tech! Thank you for the great suggestions! I am one of those people who is very minimal. I don’t have things that I don’t need . If there is no use for them then I don’t buy them. Thankfully, our children are the same. I don’t keep craft or fabric stashes. If I want to make something I just buy what I need for the project. I don’t take oodles of photographs of the same things. What I do take are in photo books and organized that way. I downsized quite a few years ago. I had collections that I gave away because in reality they were just not serving a purpose. I think you can have just way too much stuff. I kept all those things and items that I used daily or weekly and for me it has worked out well. I hate clutter and stuff. Now, if only I can convince my husband that he really doesn’t need all his stuff that would be great. Best regards! Nags Head Carpet Cleaners Ltd.